Change all face-down monsters on the field to face-up Defense Position. 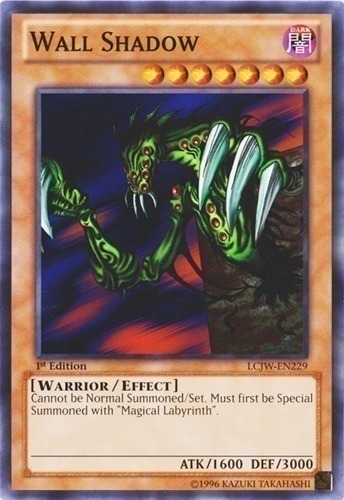 During the End Phase this turn, change all face-up LIGHT Reptile-Type monsters you control to face-down Defense Position, then draw 1 card for each. 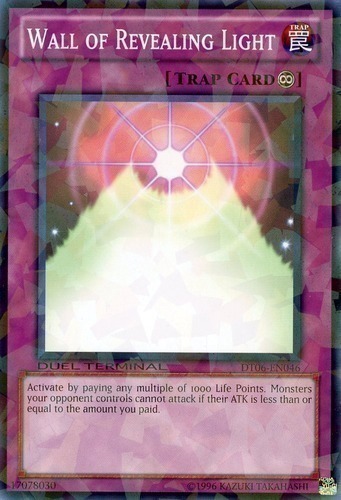 After that, you can Special Summon 1 Level 7 or higher LIGHT Reptile-Type monster from your Deck. 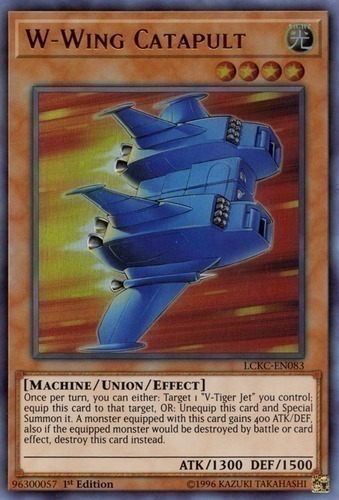 Once per turn, you can either: Target 1 "V-Tiger Jet" you control; equip this card to that target, OR: Unequip this card and Special Summon it. 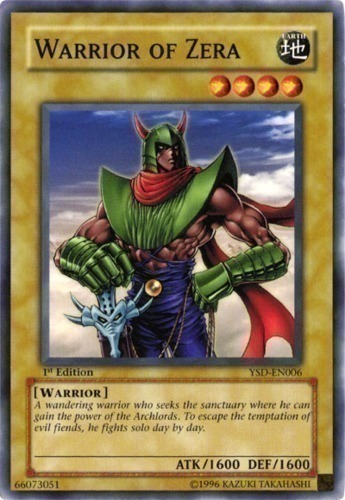 A monster equipped with this card gains 400 ATK/DEF, also if the equipped monster would be destroyed by battle or card effect, destroy this card instead. You take no battle damage from your opponent's monsters this turn. Your monsters cannot be destroyed by battle this turn. 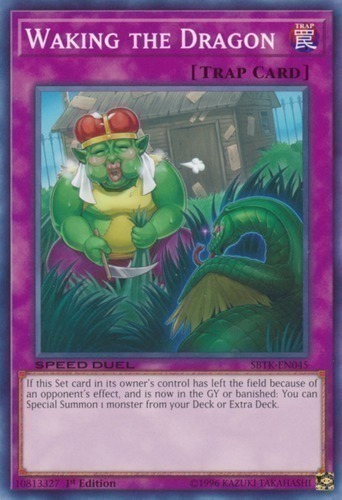 If this Set card in its owner's control has left the field because of an opponent's effect, and is now in the GY or banished: You can Special Summon 1 monster from your Deck or Extra Deck. Cannot be Normal Summoned/Set. Must first be Special Summoned with "Magical Labyrinth". 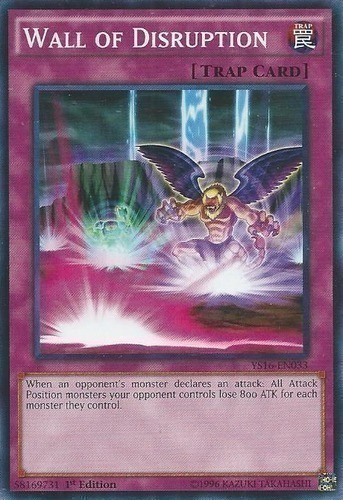 When an opponent's monster declares an attack: All Attack Position monsters your opponent controls lose 800 ATK for each monster they control. 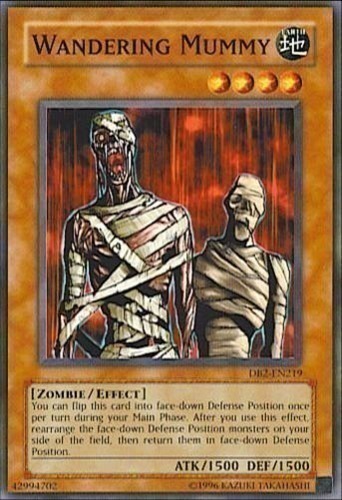 If this card is attacked by a monster, after damage calculation: Return that monster to the hand. 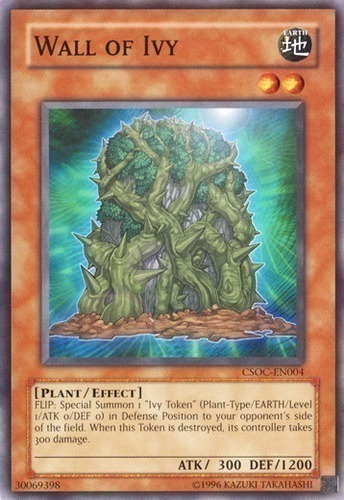 FLIP: Special Summon 1 "Ivy Token" (Plant-Type/EARTH/Level 1/ATK 0/DEF 0) in Defense Position to your opponent's side of the field. When this Token is destroyed, its controller takes 300 damage. 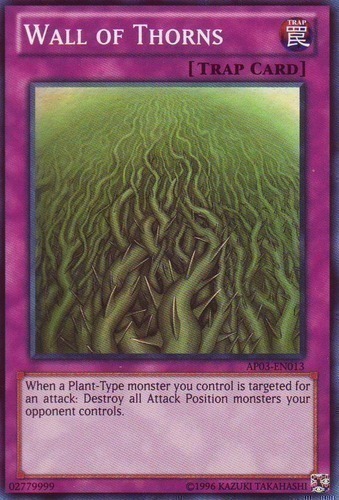 When a Plant-Type monster you control is targeted for an attack: Destroy all Attack Position monsters your opponent controls. 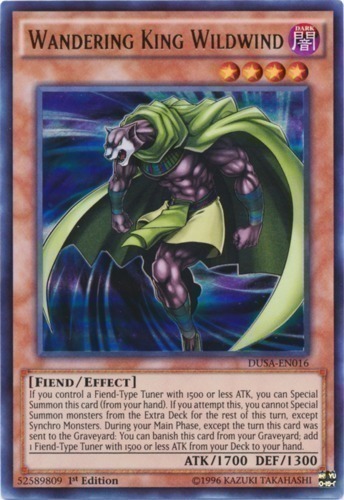 If you control a Fiend-Type Tuner with 1500 or less ATK, you can Special Summon this card (from your hand). 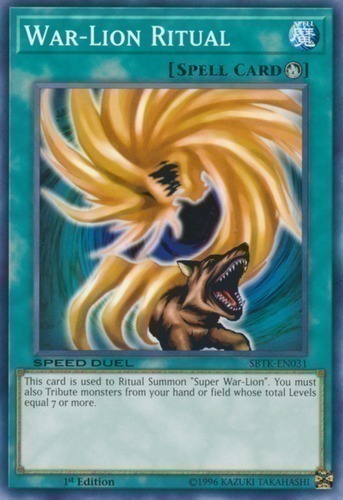 If you attempt this, you cannot Special Summon monsters from the Extra Deck for the rest of this turn, except Synchro Monsters. 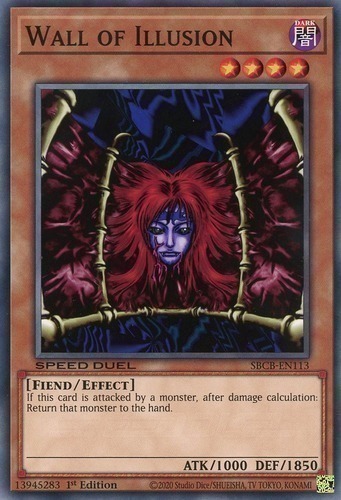 During your Main Phase, except the turn this card was sent to the Graveyard: You can banish this card from your Graveyard; add 1 Fiend-Type Tuner with 1500 or less ATK from your Deck to your hand. You can flip this card into face-down Defense Position once per turn during your Main Phase. 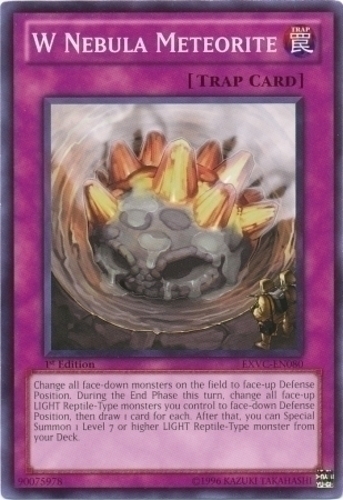 After you use this effect, rearrange the face-down Defense Position monsters in your Main Monster Zones, then return them in face-down Defense Position. 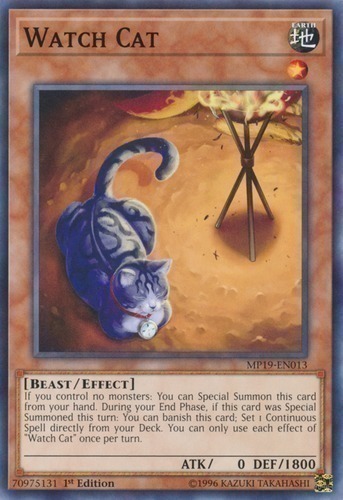 This card is used to Ritual Summon "Super War-Lion". You must also Tribute monsters from the field or your hand whose total Levels equal 7 or more. 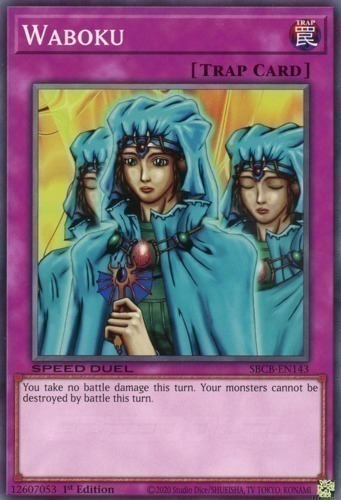 While you control another face-up "Ice Barrier" monster, both players must Set Spell Cards before activating them, and cannot activate them until their next turn. 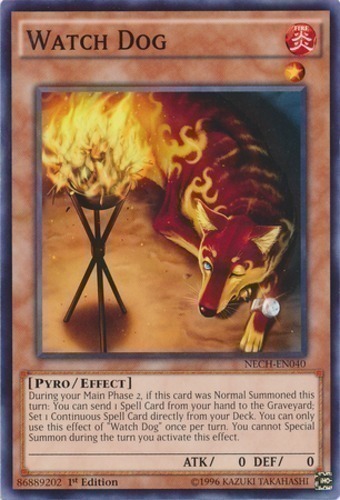 If this card is destroyed, send the top 3 cards of your opponent's Deck to the Graveyard. 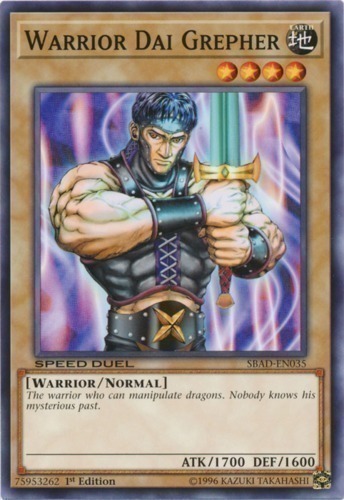 The warrior who can manipulate dragons. Nobody knows his mysterious past. Destroy all Warrior monsters on the field. 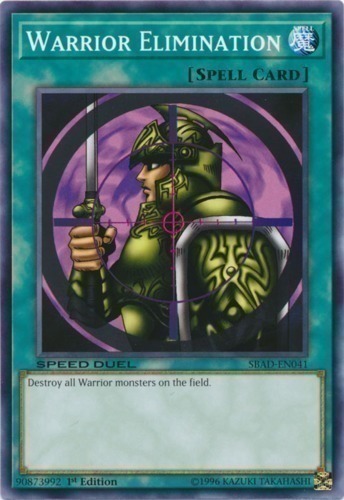 When this card is destroyed by battle and sent to the Graveyard: You can Special Summon 1 EARTH Warrior-Type monster with 1500 or less ATK from your Deck, in face-up Attack Position. 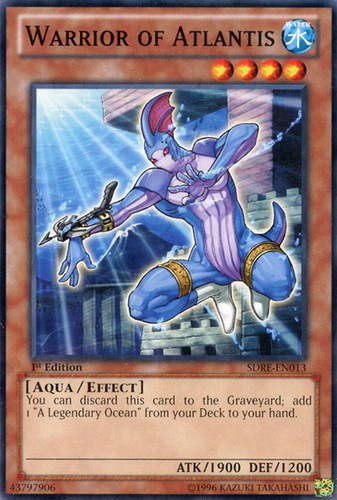 You can discard this card to the Graveyard; add 1 "A Legendary Ocean" from your Deck to your hand. "Sonic Maid" + "Beautiful Headhuntress"
A wandering warrior who seeks the sanctuary where he can gain the power of the Archlords. To escape the temptation of evil fiends, he fights solo day by day. 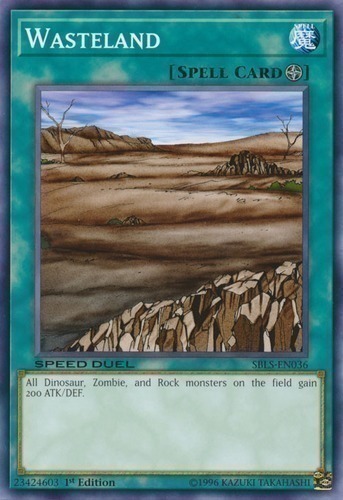 All Dinosaur, Zombie, and Rock monsters on the field gain 200 ATK/DEF. 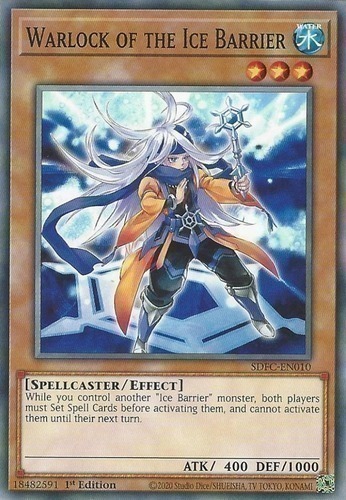 If this card is added from your Deck to your hand by a card effect: You can Special Summon this card. 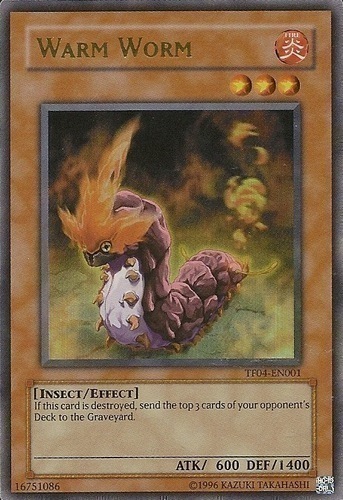 If you control no monsters: You can Special Summon this card from your hand. 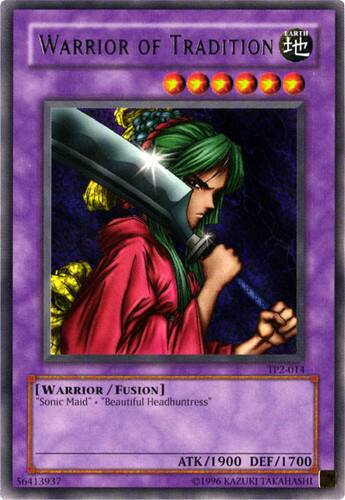 During your End Phase, if this card was Special Summoned this turn: You can banish this card; Set 1 Continuous Spell directly from your Deck. You can only use each effect of "Watch Cat" once per turn. 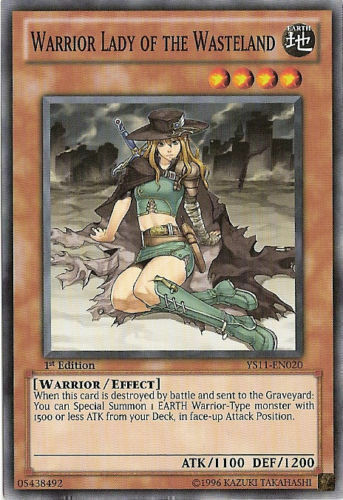 During your Main Phase 2, if this card was Normal Summoned this turn: You can send 1 Spell Card from your hand to the Graveyard; Set 1 Continuous Spell Card directly from your Deck. You can only use this effect of "Watch Dog" once per turn. 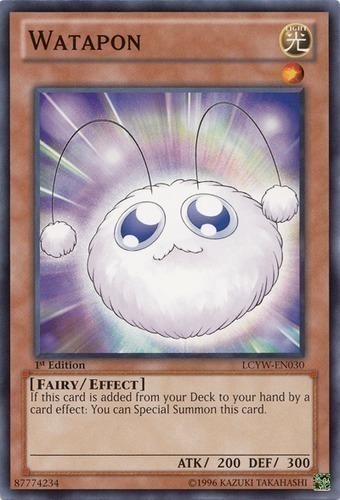 You cannot Special Summon during the turn you activate this effect.